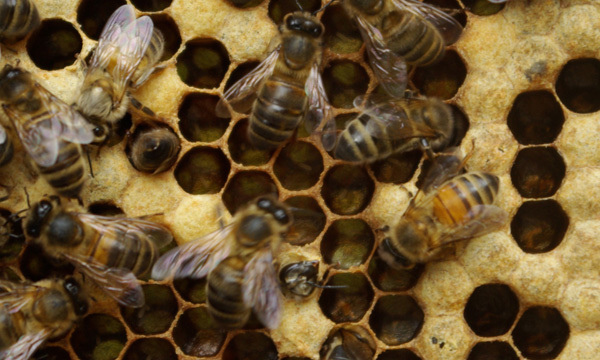 Why is beekeeping and the honeybee so important? More than 100 of our food crops will only set fruit if their flowers are cross-pollinated between two different varieties. Honeybees carry pollen from one flower to another, pollinating as they forage for pollen and nectar. Wheat, corn and other grains rely on the wind to spread their pollen, but honeybees pollinate food that we rely on everyday. Food which is life-enhancing, adding vitamins, antioxidants and fibre to our diet. Crops from apples to avocados, berries to broccoli, cherries to carrots, and so many more. If what you eat lowers your cholesterol, improves your eyesight or improves the immune system, it was probably fertilised by a bee. Without the help from these tiny creatures things would look very different indeed. In fact, if honeybees disappear, they’ll take some of our healthiest foods with them. A devastating disease is hitting bee colonies throughout the world. This disease known as Colony Collapse Disorder, or CCD for short, is decimating colonies in huge numbers. In the some countries beekeepers are loosing over 40% of their bees. Not only is this a massive financial loss to the beekeeper but has a major impact on the food we produce. The exact cause of the dreadful disease is not fully known. There are those who believe that the cause of CCD are pesticides known as neonicotinoids, but despite exhaustive tests and trials the exact cause has yet to be found. Because of the widespread publicity that CCD has had and the thought of loosing our honeybees to it, there has been a marked increase in those wanting to keep bees themselves. Not just for commercial purposes but for the benefit of the bees and the environment, and if there’s surplus honey at the end of the season, then that’s a bonus. The more beekeepers we have the better the chances of the honeybee surviving through the next century. A well know ice cream maker recently announced that because 40 percent of its ice cream flavours wouldn’t exist without bees it donated £150,000 to honeybee research and launched a new flavour, Vanilla Honey Bee, to support the cause.